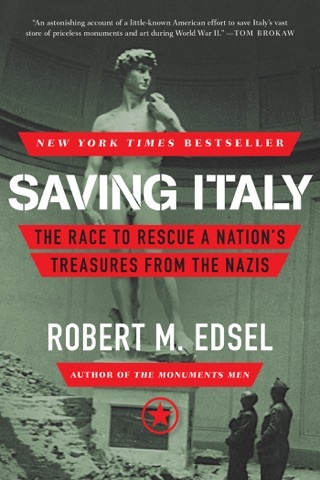 Historian Robert M. Edsel unpacks the fascinating true story of World War II civilian soldiers tasked with salvaging historical treasures imperiled by the fighting—including works of art stolen by the Nazis. The true hero of the story is George Stout, a curator at Harvard’s Fogg Museum, who dedicated himself to saving both ancient and modern artworks. 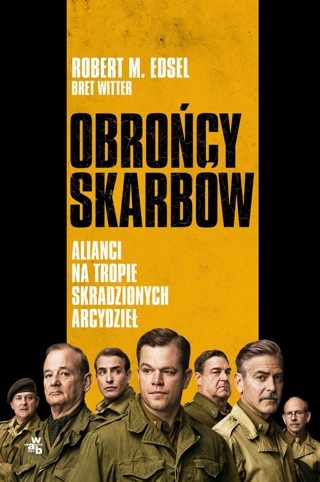 The Monuments Men follows Stout’s ragtag team as well as the high-ranking Germans trying to outwit them. It’s a history book that reads like a rollicking wartime spy novel—and the inspiration for the 2014 movie directed by George Clooney! WWII was the most destructive war in history and caused the greatest dislocation of cultural artifacts. Hundreds of thousands of items remain missing. The main burden fell to a few hundred men and women, curators and archivists, artists and art historians from 13 nations. 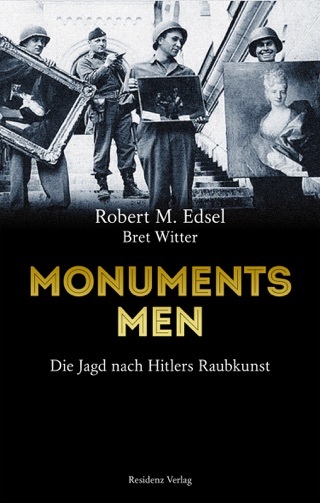 Their task was to save and preserve what they could of Europe's great art, and they were called the Monuments Men. 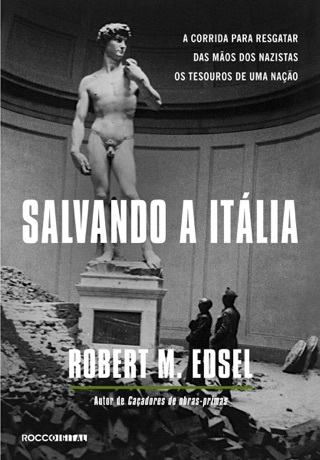 (Coincidentally or not, this book appears only briefly after Ilaria Dagnini Brey's The Venus Fixers: The Untold Story of the Allied Soldiers Who Saved Italy's Art During World War II, Reviews, June 1.) Edsel has presented their achievements in documentaries and photographs. He and Witter (coauthor of the bestselling Dewey) are no less successful here. 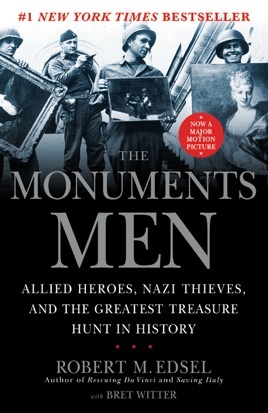 Focusing on the organization's role in northwest Europe, they describe the Monuments Men from their initial mission to limit combat damage to structures and artifacts to their changed focus of locating missing items. 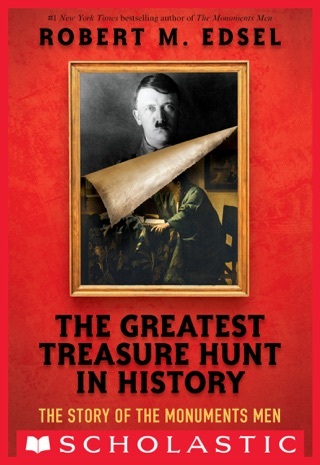 Most had been stolen by the Nazis. In southern Germany alone, over a thousand caches emerged, containing everything from church bells to insect collections. The story is both engaging and inspiring. In the midst of a total war, armies systematically sought to mitigate cultural loss. 3/25/12. This book is one of those that I wish I could have read 30 years ago. The reason for that is that as my 97 year old dad passed away this week, I can no longer ask him about things like this from his experiences during WW II. I never knew about these wonderful men and women or even this component of the war effort until just a couple of months ago. This story was so wonderfully told that I was transported to the scenes. And the results of this fine book are that I can yet again see fine people doing fine things for the world, selflessly and in spite of horrific conditions. Thank you, thank you! This is no page turner for certain. The character development is non existent. There is a complete lack of ability on the authors part to transport the reader to 1940s Europe during the war. 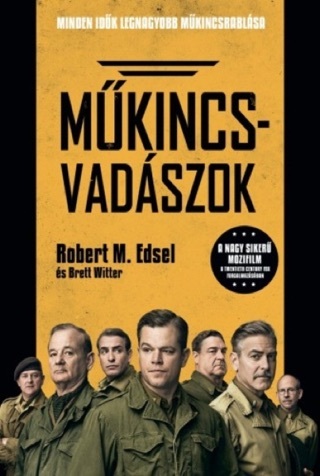 I read this book in spite of the movie but now I'm waiting for the movie to bring some life to the characters and the plot, which represents a very important part of the history of world war 2. Never really thought about this kind of stuff until I read this incredible book. Well written, gripping detail & surprisingly the best history book I've ever opened! What a fantastic effort by all!